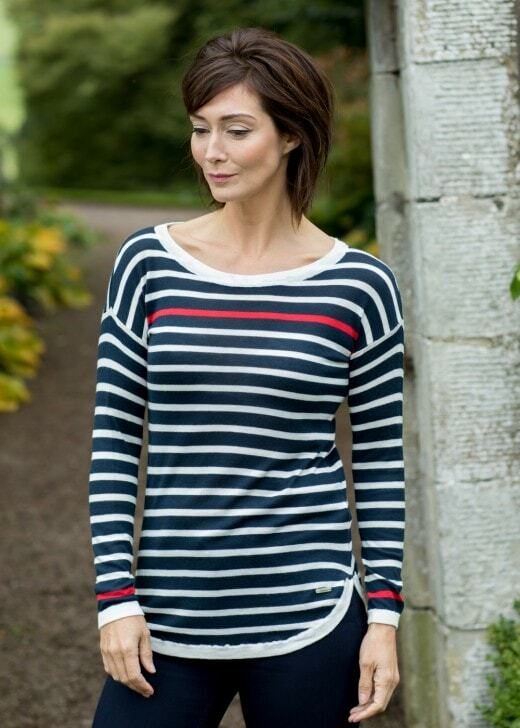 Dubarry's Abbeyside is a lightweight knitted top with a striped pattern and a distinctive accent colour. Dubarry's Abbeyside is a lightweight knitted top with a striped pattern and a distinctive accent colour. With a scoop neckline and a loose fit style, the Abbeyside will become your new favourite go-to sweater when you need a little more warmth on those cooler Summer days.